This week my education foundation class discussed the origin of public schools and what the purpose of public schools is. Before this week I, just like many people, assumed that pubic education was a right that was written into the Constitution, However, this is not true. As stated in Teacher Wars by Dana Goldstein (2014) ” The U.S. Constitution did not mention education as a right (it still doesn’t), and school attendance was not compulsory” (p. 13). People who valued education had to push to get education for everyone and to get schools to the place they are today. Thomas Jefferson drafted a declaration to offer people three years of education along making further education available to certain group such as upper class males. The people he wanted to have access to three years of schooling was white males and females. Ever time this was brought to a vote it was defeated. Public education was not a priority for the country and it was left as a state issue and choice. The early schools in america were only available to white children and the school curriculum was based solely on religion. 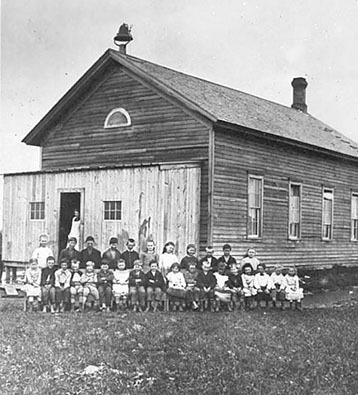 These schools were organized by the town councils, churches, charitable societies, and in the very rural areas they schools were organized by neighbors. The school was only in session twelve weeks out of the year and were on large room. In the 1830’s the common school began to emerge. Two people who had a great deal to do with the rise of the common schools are Catherine Beecher and Horace Mann. Both of these individuals valued education greatly. I feel that Catherine Beecher also played a role in early feminism, even thought she was against the woman’s right movement, because she found a way for women to further their education. Beecher realized that teaching is something women could do that did not exceed the boundaries of the religious aspects of peoples’ lives back then. She then started the Hartford Female Seminary which allowed women to further their education in subjects that were not normally offered to women in that time. Beecher made sure that there was hands on learning and lots of field trips to help the women learn. The women who went to the Hartford Female Seminary went on to become missionary teachers in the school that Beecher and Mann played a role in getting started. Mann helped to lead a push in 1837 to form a state board of education to over see local schools in Massachusetts. After a lot of work done to get the board and funding approved Massachusetts was the first state to have the common schools and mandatory antecedence for children. A question posed by the course work this week is, what is the purpose of public schools? I think a main purpose of public schools is to give equal opportunity for all children to have an education. Before the common public schools everyone did not have the opportunity to education, even the basics. This was because the schools focused mostly on religion and thing to get the children by as well as most school charging some money in return for the child’s education. Our country was based on freedom and public schools allowed their to be freedom of education. Along with giving equal opportunities for education the public schools allowed for the gap between the poor and the wealthy. Another reason for public schools was is that so everyone in our country gets an education to a certain degree for free. I think that educators and future educators need to know how hard people had to work for there to be public schools for primary education for everyone. I think if we as educators were aware of this maybe there would be a larger passion for fixing our public schools and making them the best they can be for the students. Hi Hannah! I too did not know that education was not a right in our constitution. I find this so concerning because without education our doctors, lawyers, and politicians would not be who they are. As schools started out religious it made sense for the students attending and teachers who were teaching and everything went well. However, once other religions started to join the United States, it was clear that schools focusing on religion would not continue to work like they should. Public schools are extremely important to our society. Public schools are available to everyone and that is the way education should be. Replying to blog post: What is the purpose of school? I was also surprise to read that “the U.S. Constitution did not mention education as a right” as stated in The Teacher Wars by Dana Goldstein (2014). I find that if the “framers” of the U.S. Constitution had given education an article in the U.S. Constitution our nation would still be at odds with the structure of the educational system. It was mentioned in part 1 of “the Common School 1770-1890” which is part of the series “School: The story of American Public Education” that our public school system was born out of conflict and is still today an unfinished system. It is my hope that future teachers, myself included will become part of the solution to the educational system. As we learn the history of why our society created common school also known now as public schools; it my hope that we will ensure that all the children who enter our classrooms will receive the equal opportunities to obtain an education. Goldstein, D. (2014). The teacher wars: A history of America’s most embattled profession. Thank you for your comment! I completely agree, I feel that the school system will always be an unfinished system because it changes along with our time and society. I also hope to help the make the school system run better and fit the needs of our time as well as set up tools for other future educators to do the same. Hello there first and foremost I’d like to tell you, I really enjoyed your blog. It was short and sweet. Secondly I’d like to say you’re very right education was not in the Constitution. I feel like so many people forget this, it was up to us to change that. Your blog was wonderful, keep up the good work. One thing I noticed that I disagree with is that schools are free. Growing up in school, I did not know that schools are actually paid with mortgages. School tax is added onto every homeowner’s monthly bill. Even if you don’t have children, you are still paying a school tax if you own a home. Catherine Beecher was big on furthering education for women for the simple reason to better themselves. As stated in Teacher Wars, Beecher is quoted saying “a lady should study, not to shine, but to act”. As you said, she did help with feminism a bit, even though from hearing that quote alone, she just wanted women educated and with options. Overall I learned a bit with your blog and enjoyed the different insights. Thank you for your comment! I do know that taxes we pay go towards paying for schools and I understand the reasons this could frustrate people without Children. However, I think that it should be more looked at as an investment in our country’s future and to better our community rather than a burden. Also everyone went to school or used a school facility at some point in their life and someone else invested their tax money into those facilities used so you could also view it as paying that investment back. I would also like to clarify that when I said free I meant that everyone could go even if they can not pay for it themselves. That makes sense! I did not mean to imply that I was frustrated with the taxes, I have children so it doesn’t bother me at all. I think it should be seen as an investment as well! I guess that does put people that don’t own a home as their kids going for free. I didn’t think about that side of it. I like that definition “everyone could go even if they can not pay for it themselves”. Thank you for replying! That shows exactly what you meant by free. Forgot to add my source for Teacher Wars. I like your blog discusses about the struggles of suffragists like Horrace Mann and Catherine Beecher, as future teachers we should fully understand the struggles of women’s in the past ,we take so much things for granted know a days. Good response, but I would not call Beecher and Mann “suffragists,” who fought for women’s right to vote. Both Beecher and Mann opposed this (unlike Susan B. Anthony). One historical point – you said that, “Our country was based on freedom and public schools allowed their to be freedom of education.” While it is true that the U.S. had the idea of equality during the American Revolution (see the Declaration of Independence), the Constitution was not about equality (see 3/5ths compromise on slavery). Schools are much the same. There was an ideal of equality, but schools were not equal in many ways.